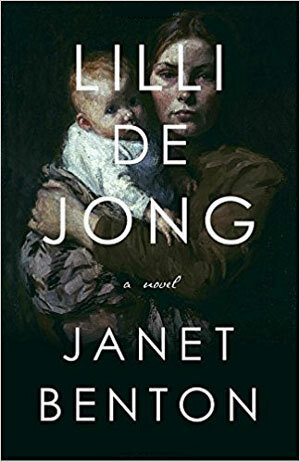 “When I write, I forget that I don’t belong to myself.” So observes Lilli de Jong, whose journal entries narrate Janet Benton’s impressive debut novel, set in the 1880s. Lilli is as spirited and determined as Jane Eyre, as sensible as Elinor Dashwood, and as downtrodden as Little Nell. Yet on the subjects of reproductive rights, affordable day care, and the cost of motherhood for women the book speaks directly to readers, today. With the passion of Jane Eyre, Lilli is thunderstruck with love when her infant, Charlotte, is put in her arms. But unlike a Victorian love story, this love of a mother for her child is at the novel’s center. 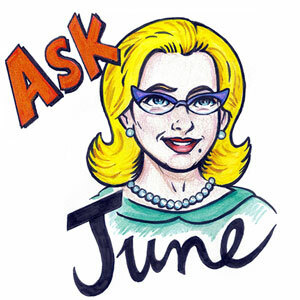 “The doctor cut the fleshly cord that connects us, but an invisible one has taken its place…that can be neither cut nor broken,” Lilli asserts in a journal entry. When the Haven’s superintendent advises, “It is best to consider the baby like a tooth that must be extracted,” Lilli understands the baby’s survival depends on this tie that can’t be broken. She records closely observed details of the newborn’s smell and feel, and both the overwhelming work required to care for the young infant and the power of a mother’s love. The novel reveals the difficult road Lilli travels to keep Charlotte and to stay alive. 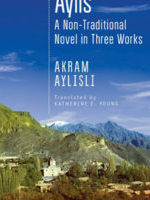 The choice of Lilli as a narrator provides much of the novel’s modern feel. 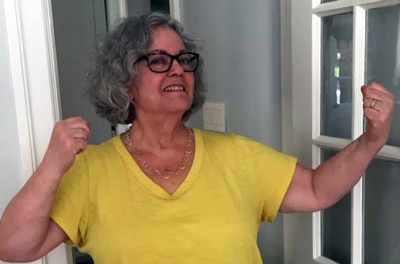 As a Quaker, Lilli questions society’s norms, and listens to “the light within.” She writes, “I’d been taught not to conform to the world as it is…but to live instead as if the world were what it ought to be.” Lilli’s voice is in the Friends’ plain speech, addressing others as thee and thy, and avoiding the use of titles. The Quaker language places the story firmly in the 1800s, despite the modernity of Lilli’s thoughts, a delicate balance for the writer of historical fiction that Benton artfully maintains. The other women Lilli meets in the story provide insight into the narrow options available to all women at the time. Lilli becomes a wet nurse for a well-to-do family, the Burnhams. Although Clementina Burnham enjoys considerable freedom from the burdens of motherhood, she is also limited in realizing her ambitions, and jealous of Lilli’s connection to her son. Others from the Haven are crushed by shame. The maiden ladies who run the shelter are impoverished by their own gentility and lack understanding of the powerful love between mother and child. As a Quaker, Lilli received an education, uncommon for a woman of her time. Reading John Stuart Mill in the Burnham’s library gives her deep insight into the limitations motherhood imposes. “‘We can pursue our true wants,’ Lilli reads, ‘only when doing so harms no one to whom we are obliged.’” Obligated to her infant Charlotte, Lilli finds freedom only when writing in her journal, a sentiment as modern as Virginia Woolf. “When I write,” she says, “I forget that I don’t belong to myself.” Lilli’s education ultimately leads her to independence and survival. Benton, who has worked on documentary film and is an exhaustive researcher, provides a glorious, if dark, portrait of 19th century Philadelphia. She takes Lilli to the Old Blockley Children’s Asylum, to Broad Street Station (the largest rail terminal at the time in the nation), to a skating pond in the Wissahickon Park, and to the Burnham’s luxurious summer home in the suburb of Germantown. These details vividly invoke the past, while Lilli’s fresh passion and insight give the book a voice that is lively and modern. Lilli de Jong is beautifully written and completely absorbing. Joanne Green lives and writes in Philadelphia. She is the author of Peach (Gemma Media).